From John Denver’s legendary “Rocky Mountain High” to the contemporary sounds of The Lumineers and One Republic, musicians from all genres have long found inspiration in the Rockies. The Colorado Music Hall of Fame is a nonprofit organization that preserves and celebrates our state’s music heritage by telling their stories and sharing their musical legacy with the public. A visit to our museum is an opportunity for the whole family to discover more about these talented men and women and their contributions to Colorado’s history. The Colorado Music Hall of Fame is located in the Trading Post just to the east (and down the hill about 100 yards) from the main stage at Red Rocks. Many people confuse the Red Rocks Visitors Center with The Colorado Music Hall of Fame. These are two very different organizations and buildings at Red Rocks. 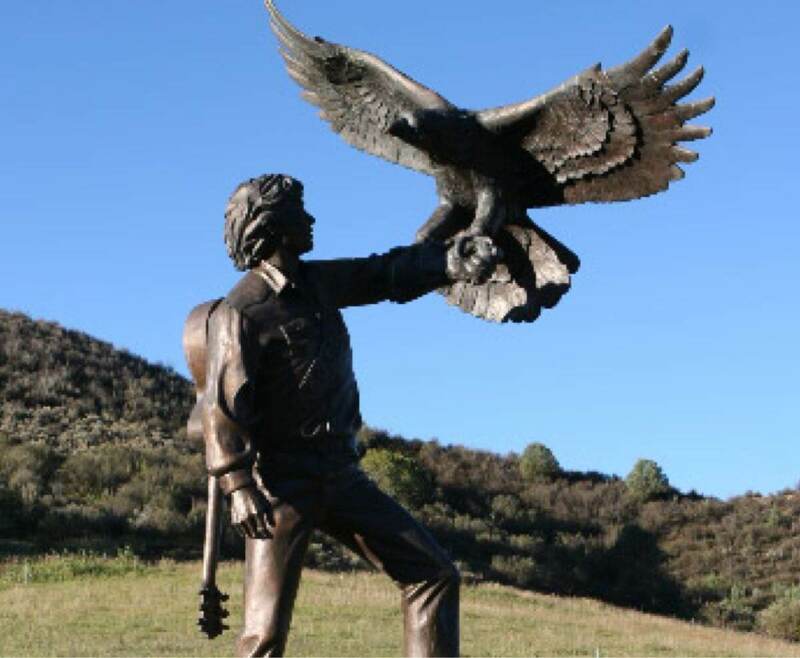 CMHOF celebrates Colorado musicians, institutions, and individuals. The other (the Visitors Center at Red Rocks) celebrates the venue and artists from all over the world who play there with their “Performers Hall of Fame” – and they tell the history of Red Rocks itself. The Colorado Music Hall of Fame presented by Comfort Dental is in the Trading Post building and is the home to exhibits about famous Colorado musicians like John Denver, Dianna Reeves, Dan Fogelberg, Steve Stills, Judy Collins, The Nitty Gritty Dirt Band, Pretty Lights, Nathanial Ratliff, and so many more – many of whom have been inducted into the Hall of Fame. You can see both places while you are at Red Rocks, and it’s fun to spend the day there, hike the trails, and have a picnic too. And last but not least, Red Rocks was inducted into the Colorado Music Hall of Fame in 2012 … see we love to celebrate Red Rocks! The Hall is open from 9 am to 4 pm and later on days when there are concerts on the main stage. The admission is free, and it only takes about 45 minutes to go through the exhibits and learn about the incredible legacy of Colorado music. Located at the Trading Post at Red Rocks, the Hall of Fame is open from 9 a.m. to 4 p.m. every day of the year except Thanksgiving and Christmas. On days when there is a show at Red Rocks Amphitheatre, we are open from 9 a.m. until 7 p.m. Entry is free thanks to a generous sponsorship from Comfort Dental, but donations are always welcome as well. We have plenty of parking in the south lot adjacent to the building. We also have four charging stations located in the Trading Post lot for guests driving electric/hybrid cars. The world-renowned Red Rocks Amphitheatre is a stone’s throw from the Hall of Fame. Musicians from all over the globe have performed some of Colorado’s most memorable concerts in this remarkable venue. Guests can walk around the Amphitheatre, take some photos from the stage, and marvel at the majesty of the view. Long before rock n’ roll rocked Red Rocks, the land was a dinosaur stomping ground and they left their tracks and bones all over Dinosaur Ridge. Today, you can discover more about Colorado’s prehistoric landscape by visiting the Dinosaur Ridge Exhibit Hall. For visitors who really want to get their blood pumping, no visit to the historic town of Morrison is complete without a stop at the Bandimere Speedway, where some of the fastest drag racers in the country compete on the quarter mile. The Colorado Music Hall of Fame is wheelchair accessible and ADA compliant. We welcome guests and their service animals. However, at this time, we do not have active listening devices available. The Colorado Music Hall of Fame is located at the corner of Ship Rock Road and Trading Post Road. To reach the museum, simply drive up Bear Creek Road and turn right onto Titans Road. Turn left when you reach Ship Rock Road and follow that down to the Red Rocks Amphitheatre. We invite you to contact us to learn more about the museum by calling (303)320-7599. You may also send us an email at Chris@cmhof.org. We look forward to hearing from you and we would love to make your next visit to Red Rocks Amphitheatre an experience you will never forget!